“The obese learn to shut up. They are like their extra weight: unwanted”. 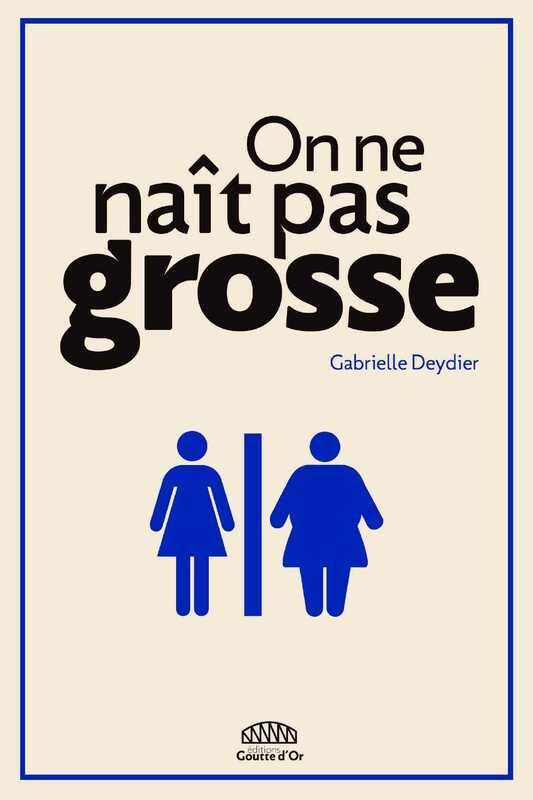 Gabrielle Deydier, French author of the media sensation book On Ne Naît Pas Grosse (One Is Not Born Fat), denounces a form of discrimination called “Grossophobia” that has been brushed off by society until now. 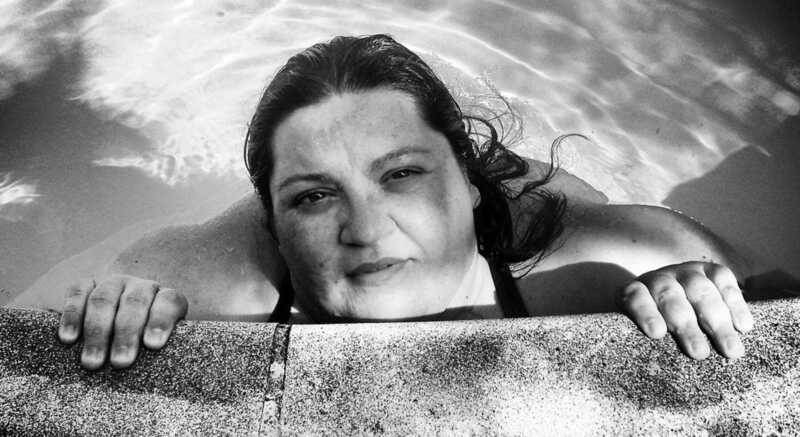 I sat down with Gabrielle Deydier for an insight on what it is to be fat in France today. Gabrielle Deydier: Yes. I was told that I started all my sentences with “Pardon”, “Excuse me”, or “I’m sorry”. That’s true. When I would go to a restaurant, I would apologize for being there. I would apologize for asking to sit down or just for breathing. In a shop, I would apologize instead of saying “Hello”. It could happen anywhere because I was just so aware of the great annoyance my presence could generate. I’ve been told so many times how disturbing and annoying my presence could be that it became automatic for me to anticipate every single situation. As a result, I would apologize everywhere and for absolutely everything. I didn’t realize it until it was pointed out to me. That’s why I wrote my book. Because I had enough of having to justify who I am. I had enough of being asked about my weight within the first ten minutes of meeting someone. I had enough of apologizing for being fat because in the end this is the way it is. VA: I know that besides what you’ve just described, there was a situation that was the catalyst that led you to write this book. Can you tell us a bit about that? GD: To put it in context, I was 35 and I was accumulating meaningless jobs that had nothing to do with my studies. I graduated in Cinema and Audio-Visual and later on I studied Political Science but I couldn’t find a job in my field. At that time, I was in the South of France working in a boarding school. I really had had enough so I set up a cultural webzine called “Ginette Le Mag”. Since nobody was ready to give me a chance, I decided to create my own opportunities. I went to Paris. I found a job in a school where I was a teaching assistant in a classroom for teenagers with learning difficulties. Basically, these students, aged between 11 and 15, were following the curriculum for children between the ages of 6 to 9. I was working with a teacher and from the first day, she looked at me from head to toe and she said, “It’s not going to work!” When I asked her why, she said, “I don’t want to work with a fat person! You’re not going to last a year with me.” I had indeed a very, very hard year. I ended up in a depression. The last time I worked with her, she told me in front of the children, that I was the seventh handicapped person in the classroom. It was something very aggressive and humiliating. The following year I was jobless, I had no money, I lost my apartment, I was hitting the rock bottom and I couldn’t see the light. I was considering suicide every day, thinking of which method I would use to kill myself. I wanted to die. During this period, I had friends who were in the process of creating a publishing house. One night while we were celebrating the launch of the book of a friend, I was very depressed and all of a sudden I asked them, “Do you know what grossophobia is?” Of course nobody knew. One of the publishers asked me about it. So I described all the things I’d experienced, all the discrimination, my social misery etc., and then they asked me if I would be interested to write a book about it. That’s basically how the idea of this book came up. GD: Obesity is having a weight that exceeds the perameters of a healthy Body Mass Index (BMI). BMI is a mathematical formula, a ratio between weight and height. A BMI range of 18 to 25 is normal. Under 18 is too thin, between 25 and 30 is overweight and over 30 is obese. VA: Then how do we become obese? GD: Obesity is multifactorial. There is never one thing that makes a person obese. It’s always the sum of several things. The factors favoring obesity can be genetic or cultural, related to eating habits. It may also be the result of disease, medical treatments, or psychological conditions. As far as I’m concerned and it’s not in my case, abuses in childhood, sexual abuse and all kind of violences are over-represented in obese people. There is also a societal factor. Being poor is an aggravating factor in obesity. That’s why I always refer to the figures announced by the O.I.T (French Work International Organization). According to their studies, in homes with an income over €4500 per month there is 7% likelihood of obesity, while for those who earn the minimum on social benefits, the likelihood of obesity is 30%. Food disguises other issues. There is a difference between affluent and poor people. The poor don’t have the same diet, they don’t have the same access to medical care even if in France we have a fantastic social system of care but most importantly, their habits are different. The rich send their children out to do sports while the poor put them in front of the television. I know that what I’m saying may sounds very “clichéd”, but I remember reading a study in a newspaper that said that the poorer a parent was, the more he offered things related to food to please his children. And to keep it simple, poor parents will take their children to MacDonalds to make them happy while wealthy parents will take them to the movie theater. The difference is that a Happy Meal at McDonalds costs €4, while the movie theater costs between €8 and € 9. Of course, not everybody does that. I was not raised going to McDonalds but those are some known favoring factors that lead to obesity. Courtesy of Editions Goutte D’Or | English version coming soon. VA: Your life changed at 16 following a bad diagnosis from a doctor. Can you tell us about that? GD: Yes. I went to see a doctor to lose weight. I thought I only had to lose 22 extra pounds but he told me I had to lose 44 pounds. Then after I underwent a bunch of medical tests, I was misdiagnosed with an adrenal gland disease and given hormones for this illness with a diet to follow. It was May and I weighed 144 pounds when I started the treatment. Three months later, I weighed 212 pounds and six months later, I was at 232 pounds! So in addition to the treatment, there was a very restricted diet of 1000 calories per day that I had a hard time following as at the time we were depending on the Food Bank to eat. We couldn’t choose our meals but I was still on a restricted diet and putting on weight uncontrollably. I really freaked out. It was total nonsense. I was on diet and I was putting on weight! Out of frustration, I started to eat, not for my own contentment but compulsively. That was the turning point when my relationship with food changed from healthy habits to an unhealthy behavior. I started to develop an eating disorder. But I want to stress the fact that this is not solely food that made me gain so much weight, but mostly the hormones I was prescribed. The correct diagnosis was made six doctors later when I was 23. VA: You describe your mother as a woman obsessed with thinness and your father as a narcissist. You wrote, “He loves himself as much as my mother hates herself. He shows off as much as she hides.” Do you think that the familial context in which you grew up, regarding body image, impacted you in some ways? GD: Actually, my parents’ perception of body image only affected the idea I had of myself, of my body, whether I was fat or not. It was not the cause of my obesity even though I was always told that I was fat when I wasn’t. I always heard my father telling my mother that she was fat while she was wearing size zero. So if she was fat, what was I? VA: You have been the victim of much verbal abuses and you open your book recalling an incident that took place in a guest house while you were sleeping. What’s happened? GD: I had a meeting with my publisher. And as I mentioned previously, I had lost my apartment. That’s why I was in a guest house. That evening I partied with friends, went to bed a bit late. All of a sudden, I woke up with a start, as I heard someone opening the curtain to my cabin’s bed. I saw an American girl who was literally blowing a fuse, insulting me because I snored. But her insults were not directed at my snoring actually but at myself as a fat person. She told me that I was disgusting, that I was a piece of sh**, that I disgusted her. I’m not sure how long it lasted but it felt like an eternity. She called me “Biggie” holding her mobile phone and telling me that I was live on YouTube! All the while I was half naked because I had been sleeping. That was a major incident for me. That was violent. This kind of incident unfortunately is just one amongst so many. That’s the problem. VA: Also, the discrimination does not end with verbal abuse. You also have issues with finding a job, asking for a mortgage at the bank? GD: Yes because insurers look at statistics. They say that when you are fat you are more at risk to have disease and to die sooner. For instance, if I want to apply for a loan tomorrow, I will have to pay extra charges. So there are many fat people who could buy an apartment or a car in a regular situation but because of all of those restrictions and added conditions, they can’t. As soon as you are fat you are permanently put in a different category. GD: Well, it’s pretty simple, aside from her book and mine there are no others on this subject. VA: Do you think a work should be done by competent authorities to raise awareness about grossophobia? GD: Absolutely. And that was my goal when I wrote this book. Sometimes when people haven’t read my book, they think that it is self-pitying whereas in fact it’s a work based on research. Everything is sourced. I refer to the most official sources possible so that no one can tell me that I’m not speaking the truth. When I wrote the book, it was because I was shocked by my own situation and I couldn’t cope anymore with this life of rejection. Whatever I wanted to do it was always, “No” because I’m fat. I needed to scream and tell people that I was not paranoid when I was talking about that. Often when you mention an episode of discrimination or harassment when applying for a job, people listen to you once, twice and from the third time people start to think that you are the problem. And when you describe episodes of insults or harassments at work, people around you really start to think that you are the problem. I even had friends thinking that I was inventing excuses for a failed professional life. I found it very unfair because I knew that I was experiencing those situations. My book was a way for me to tell people, “Listen, I’m going to tell you about a form of discrimination. It’s called grossophobia. I’m going to give an insight into what it is to be fat in France today”. I brought to light what it is to be fat in France and now these issues need to be addressed by the responsible authorities, to run a campaign against “grossophobia” and raise awareness as they would do for any other form of discrimination. VA: I heard on a TV program a few large women literally promoting obesity, saying that they love being fat, claiming that at 397 pounds they are very healthy, have no diabetes, no cholesterol, no swelling joins etc. What is your opinion on that? GD: I actually have several things to say about it. When you talk about promoting obesity, I’m aware that there is a kind of trend for this. I’m not a part of that. I’m about the fat acceptance, about accepting the fact that some people are fat. I’m not supporting this trend that says that being fat is a positive thing. I cannot identify with movements that are insane, because we shouldn’t promote a disease. My point is that I’m obese, I weigh 287 pounds, but I have the right to work, to have a sexual life, to travel. I have the same rights as you and it’s not up to you to tell me what I can or cannot do. That is a matter between me and my doctor. I do not wish anyone to be obese. I am not one of those people who like to be fat. I’m not enjoying being fat. Being fat is hell. Now regarding health, obesity according to the World Health Organization (WHO), is a disease of the adipose tissue. I know it may sounds paradoxical, but yes, you can be obese and healthy. I don’t have diabetes, I don’t have cholesterol, no hypertension or joint pain. You can be obese without having obesity-related morbidities. But of course obesity must be considered as an aggravating factor of all these diseases. So now, when these girls are saying they are healthy, it’s probably true but it doesn’t mean than in 10 years it will still be the case. VA: Bariatric surgery, the removal of part of the stomach. Can you give us your point of view on the topic? GD: Well, the problem with bariatric surgery is that we do not have the benefit of hindsight. If in most cases it goes well for people who have surgery, we don’t know how they will react in 20 years’ time if they have a cancer, for example. There are still 20 to 40 percent of people who put their weight back on despite bariatric surgery which shows that the size of the stomach is not the only thing that plays a role when it comes to obesity. VA: What would you like say to those who insult you? GD: Frankly, (laughs) I know it’s not polite, but I want to tell them to shut up because there is no triumph in what they are doing. VA: You spent a year in Spain and said you never had to endure this kind of discrimination. GD: During my year in Spain, the only people who asked me why I was fat were French. In Spain nobody ever told me I was fat.